I have had the privilege of being a student at Teachers College this week and thus now have a brain bursting with ideas of what to do in reading this year to continue to grow our passion for reading. One of the ideas I cannot wait to implement is book clubs, something I have implemented with limited success in previous years, mostly because I was going about it in a wrong manner. While I wish these were my ideas, they are not, they are the ideas of many of the fabulous instructors at Teachers College so please check their stuff out for even more great ideas. And as always, make it your own! Thinking it was all about me. I used to run book clubs like a guided reading group. I facilitated all conversation, I decided the rules, I decided what to do. Have large clubs. I thought it would be easiest if I grouped many kids together because then I would have to read and keep track of fewer books. Have them meet on different days. Again, since every club had to meet with me I had to do it on different days meaning I didn’t have much time to pull other small groups. Deciding the book. I thought I should determine the exact book because I knew best. I set the goals. And they were not really individual goals, they were for the group not for the kid. I thought it was about the reading and their opinions, not their thoughts. So kids just needed to speak about something, not actually engage in a discussion. Groups will be small. 4 kids at the most and they will get to write a list of 12-15 kids they would like to be in a group with. Groups will meet at the same time. The noise level will work for everyone because everyone will be engaged in their own discussion. Book choices will be determined by the kids. There will be many choices for them of which book to read together. The kids set the rules. They determine how they want their book club to function, what the consequences should be for kids that don’t do their part, and how they will share. The kids set their group goals. The kids will be setting their own goals for their reading, including how much to read and what direction they want the conversation to go in. The kids set their individual goals. Whether with me through a conference or by themselves depending on their ability, they will also make these public to the group so that they can support each other and hold each other accountable. I will coach in. I will not be in the middle but rather in the circle with the kids, helping if I need to, fishbowling for the class when needed, scaffolding if needed, and whispering in kids’ ears to get them to engage in the conversation. Kids will problem-solve their club when needed. They need to fix their clubs to create their learning community and that comes through working through problems, trusting each other, and growing together. Give kids the tools they need to push their discussion further: help in the beginning, prompts for later, chart paper, post-its – whatever they need. Confer often. Pop in and out when needed and trust the kids. This is about digging deeper into the text not just sharing ideas or opinions. Support the kids to think deeper and discuss deeper. Remind them that they should build off each other’s ideas and not just share their thought. Book club meetings will be short. These will be 5 or 10 minutes at the most so that students can have high quality , intense discussions, not drawn out conversations where they are not sure what they should discuss next. This will also help create a sense of urgency and excitement. Students will sit together in their clubs even when it is not a book club day. That way they can still rely on each other for help as they read their book, even if they are not officially meeting. You can put kids in book clubs without an actual book. Early in the year you can group kids so that they start developing the trust and also develop their discussion habits. I love this idea of a mini group that they know is theirs to use throughout the year, even if they are not actually reading the same book. In the end, my biggest take away was that these book clubs are about the students developing deeper thoughts about their books through engaged discussion. 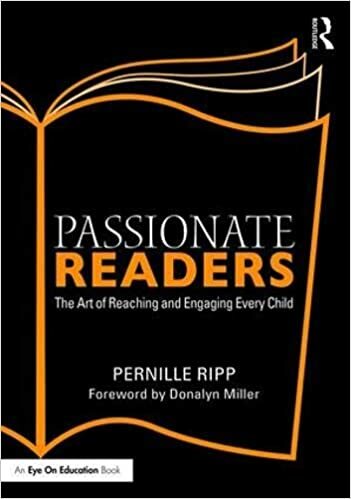 As Kathleen Tolan said, “We are not teaching kids to get them ready for the next grade, we are teaching them to get them ready for life.” Book clubs are meant to be passionate discussions about great books that make us think. I cannot wait to give this experience to my students. I am a passionate 5th grade teacher in Middleton, Wisconsin, USA, proud techy geek, mass consumer of incredible books. Creator of the Global Read Aloud Project, Co-founder of EdCamp MadWI, and believer in all children. I have no awards or accolades except for the lightbulbs that go off in my students’ heads every day. 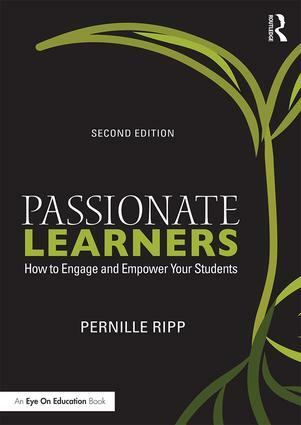 First book “The Passionate Learner – Giving Our Classroom Back to Our Students Starting Today” will be released this fall from PLPress but until then I muse on education on my blog “Blogging Through the Fourth Dimension.” Follow me on Twitter @PernilleRipp. This was a great reflection on book clubs. Thank you so much for sharing the lessons you learned. I can’t wait to use some of your ideas in my next book club!